Most organizations and governments promote a speak-up culture. “If you see something, say something,” as they say. With the large majority of fraud schemes being reported by tips, it’s imperative that both organizations and individuals are encouraged to report wrongdoing. But what are the costs of good-faith reporting? Implementing a broad compliance program that sustains a strong culture of compliance can be costly in both resources and manpower. Whistleblowers who come forward might lose a significant amount of personal and professional capital when reporting wrongdoing. Organizations that report violations might receive negative press, lower stock prices and increased regulatory exposure. Very seldom are the reporters recognized as the heroes, and therein lies the dichotomy. Doing the right thing has a cost and, unfortunately, sometimes that cost greatly exceeds the cost of doing nothing. This session will explore the question, how do we change this? It will discuss organization expectations, barriers and challenges to reporting wrongdoing, and how you can help improve the culture of reporting. Hubbs currently sits on the ACFE's Board of Regents. He is also a member of the ACFE Faculty where he co-presents the CFE Exam Review Course, as well as specialized training. Hubbs co-wrote the guidance to the ACFE Standards and developed the ACFE Chapter Leaders Resource Guide. He has served ten years as an ACFE Chapter President and officer for both the New Orleans and Houston ACFE Chapters. 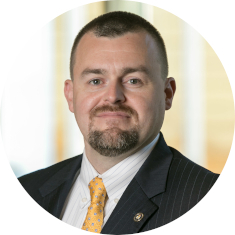 In his role as President of the Houston ACFE Chapter he helped guide the chapter to be recognized as the ACFE’s 2014 Chapter of the Year and the recipient of the ACFE’s 2015 Chapter Newsletter of the Year. Hubbs’ continued involvement and contributions in the anti-fraud profession resulted in him being awarded the Greater Houston Fraud Impact Award in 2014.